The winner and runner-ups of World Mayor 2012 will be chosen based on the number of nominations in relation to the size of their cities and, more importantly, on the persuasiveness and conviction of testimonials received during this year's World Mayor Project. Below we publish a selection of comments received to date about WM nominee Ron Huldai, Mayor of Tel Aviv, Israel. Comment: My name is Daniel K, I'm a Software Engineer. I have lived in Tel-Aviv for decades and I have voted for Mr. Huldai in past mayoral elections. Unfortunately the last few years Mr. Huldai acted against our welfare in many ways. Infrastructure has become a mess during the past few years. Huge expensive parking towers were built in the center of the crowded city, creating traffic problems and profiting city hall - during an acute housing shortage. Bus lanes were of course cancelled. 45 storyes high luxury towers were built 50m from shoreline, shadowing the beach. Literally shadowing the beach... These types of building were also built in small neighborhoods, surrounded by a single lane route, originally designated as "White City Heritage" by UNESCO. Heritage houses were demolished. Enormous traffic problems were created. Some of the towers are replacing children's schools and parks (Neve-Tzedek for example). None were built instead. We are at a huge shortage of these in the recent 5 years. Comment: Dear Judges of the contest: It is strongly objectional that our mayor, Ron Huldai, will receive any trophy, considering the serious resentment many citizens have towards him. Especially the ones who are actually living in the heart of the city and not in the newer suburbs like neighbourhoods. So many basic things only got worse in Tel Aviv that it becomes hard counting them all. Here are just a few, but be sure, honorable judges, it's a general trend that sees city life not for all but only for the elite. In all major cities like Paris, New York and even more so Amsterdam you have got the will of the municipality to protect long-time citizens from the mere power of the real estate market. But not in Tel Aviv. Comment: My name is Tovy and I live in Tel Aviv Yaffo, Israel. 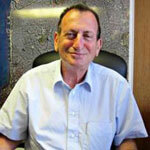 To my understanding the Mayor Ron Huldai is a finalist in the World Mayor 2012. I want to ask you to reconsider this decision because, unfortunately, I don't think he deserves that and I will explain why using few examples. I read the Code of Ethics you published- Ron Huldai is far from standing in that code. In the past time the meetings of the city council were open to the public to come and watch our local chosen government ‘in action’, but in the last weeks those meetings are closed to the public. So now we can't see and learn how decisions are making in our city. For example, one of the offers that was raised in the last city council meetings was to add to the city logo the name of Tel Aviv Yaffo in Arabic- an official language in Israel and more important - Tel Aviv is a mix town of Jewish and Arab residents. Huldai, not really explaining why not (the name of the city in the logo today is written in Hebrew and English), didn't approve the suggestion.